Beacon is the trading name of Ethical Legal Services Ltd, a limited company registered in England and Wales. Company Registration No. 8649926. Registered Offices: 10 Napier Court, Barton Lane, Abingdon, Oxfordshire, OX14 3YT. Correspondence to Beacon, 10 Napier Court, Barton Lane, Abingdon, Oxfordshire, OX14 3YT. These terms and conditions apply to Ethical Legal Services Ltd, trading as and referred to in this policy as Beacon. Beacon reserves the right to change these terms and conditions by posting the changes online. Your continued use of this Site after changes are posted constitutes your acceptance of this agreement as modified. These terms and conditions apply to any site under the control of Beacon and from which a link has been created to these terms and conditions. Copyright in the material is owned by Daniel Harbour and Beacon and/or its content suppliers. We have made every effort to gain copyright for all written material on this Site. Any person who owns the copyright for material published on this Site, please contact us. Unauthorised use of the material including reproduction, storage, modification, distribution or publication without the prior written consent of Beacon or, where applicable, the respective copyright owner(s) is prohibited. Documents (including information, images, photos, logos, names and icons) without the prior written permission of the copyright holders on this Site may not be downloaded, altered or adapted for any purpose except for personal, non-commercial use. Should Beacon receive any complaint with regard to third party material on this Site, it will review the matter and remove material at its sole discretion. Beacon will not have any further liability to either party in such instance. 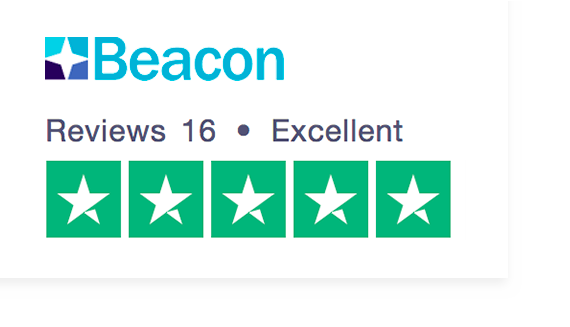 The photographs of adults or children used within this Site to illustrate the work of Beacon are posed by models and do not depict actual situations. A licence is required to use Intellectual Property of Daniel Harbour and Beacon, including the Beacon name and logo. Links to third party websites on this Site are provided solely as a convenience to you. Beacon is not responsible for the contents or the reliability of linked third-party websites, either to or from the Beacon Site, and does not necessarily endorse the views expressed within them. If you decide to access any of the third party websites linked to this Site, you do so entirely at your own risk. Any website wanting to create a link to the Beacon Site, or to request a link to be created to them, must contact the Beacon web team. Where you are able to submit any contribution to this Site you agree, by submitting your contribution, to grant Beacon a perpetual, royalty-free, non-exclusive, sub-licenseable right and licence to use, reproduce, modify, adapt, publish, translate, create derivative works from, distribute, perform, play, and exercise all copyright and publicity rights with respect to your contribution worldwide and/or to incorporate your contribution in other works in any media now known or later developed for the full term of any rights that may exist in your contribution. If you do not want to grant Beacon the rights set out above, please do not submit your contribution to Beacon. By submitting your contribution to Beacon you warrant that your contribution is your own original work and that you have the right to make it available to Beacon for any or all of the purposes specified above. Furthermore, you warrant your contribution is not defamatory, does not infringe any law, you indemnify Beacon against all legal fees, damages and other expenses that may be incurred by Beacon as a result of your breach of the above warranty and waive any moral rights in your contribution for the purposes of its submission to and publication on the Site and the purposes specified above. Beacon has the right to remove any material or posting you make on this Site at its discretion. Beacon does not accept liability for any damages whatsoever, including, without limitation, indirect or consequential damages, loss of profits, or any damages whatsoever arising out of, or in connection with the use or loss of use of this Site. While Beacon endeavours to ensure that the Site is available 24 hours a day, this is not guaranteed. Beacon does not warrant that the functions contained in the material in this Site will be uninterrupted or error free, that defects will be corrected, or that this Site or the server that makes it available are free of viruses or bugs. Beacon may make changes to the materials on this Site, or to the information, products and prices described in them, at any time without notice. The materials on this Site may be out of date, and Beacon makes no commitment to update the Materials on this Site.